Hamantaschen cookies are typically baked durning the Jewish holiday, Purim. These tasty little bites can be filled with an array of fillings, savory or sweet, but often are filled with apricot jam. Our apricot jam recipe is so easy and the perfect filling for these classic vegan hamantaschen. Also, you don’t have to celebrate Purim to enjoy these cookies. 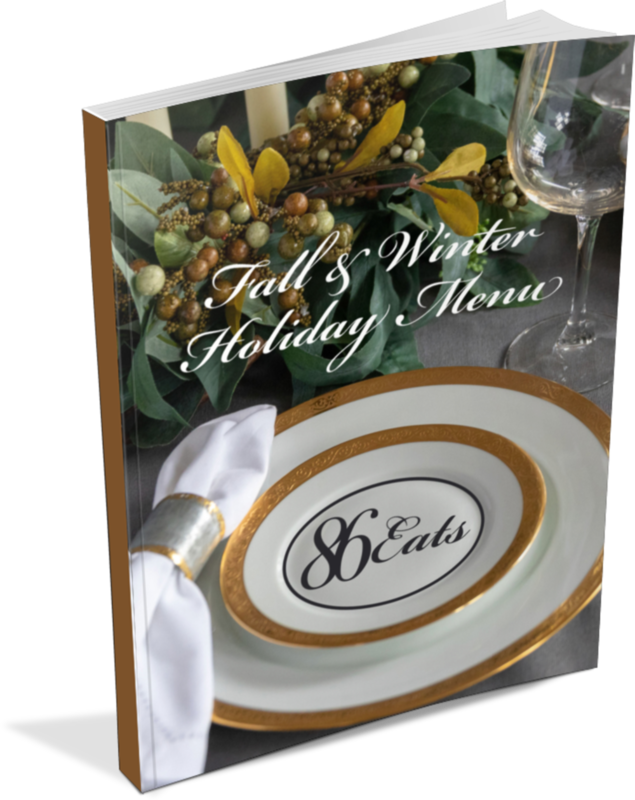 These tasty, sweet treats can be enjoyed any time of year! And if you are not a fan of apricot jam, use your imagination and fill them with anything you like from jam, to chocolate, to vegan cheese! In large bowl, cream together the sugar and butter until light and fluffy. Next, mix in the zest and egg replacer with the butter and sugar. Finally add the flour and the salt, and mix until a soft dough forms. If the dough seems crumbly, add in a tablespoon or two of water. Knead the dough on a lightly floured counter top for a few minutes. You do not want to over knead the dough, you just want to make sure all of the ingredients and well incorporated. Wrap the dough in plastic wrap and chill for 2-3 hours in the fridge. The dough is really soft and needs to be pretty cold to roll out. Once dough is ready, roll it out on a large, clean, floured surface. I like to split my dough in half and only roll out one half at a time, leaving the other half in the fridge so it does not soften back up. I find it easier to manage. Roll the dough out to around 1/8 of an inch thick. Using a 3 inch circle cookie cutter or biscuit cutter (or the rim of a small glass) cut circle in dough. Carefully transfer the circles to a parchment paper lined cookie sheet. Take about a 1/3 teaspoon of apricot jam and place in the center of the circle. Form the cookie into a triangle by folding in the top of the circle and pinching to a point. Fold up the bottom half of the circle and fold the sides over the bottom. Lightly press the corners together or you can pinch them like the top. Just make sure all corners are sealed well so the triangles do not come open while baking. Continue with remaining dough, leaving about an inch of space between each cookie. Bake cookies for about 20 minutes. Once cookies are done, transfer to a wire rack to cool. Meet the unsung hero of the Hamantaschen cookie! The savory Hamantaschen! 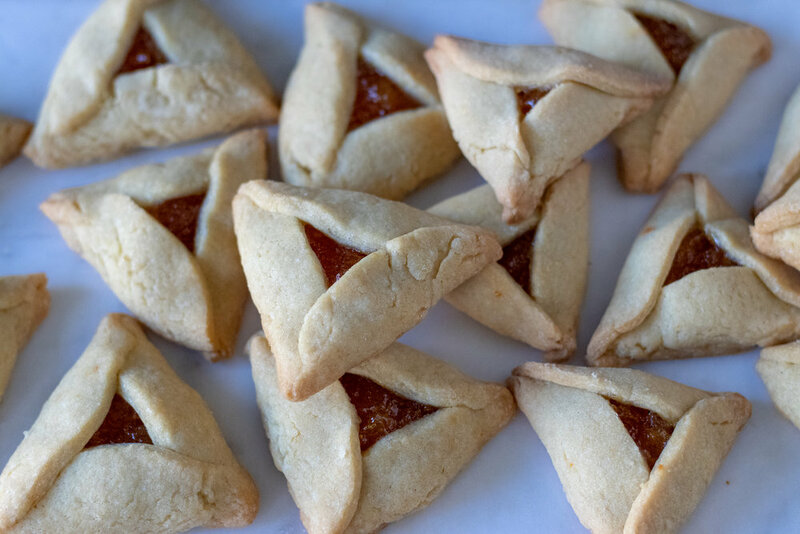 Hamantaschen are made to celebrate the Jewish holiday of Purim, which celebrates the bravery of Esther against the evil, Haman. Although the cookies are typically sweet and filled with things like poppy seeds, jam, or chocolate, I decided this year to try a savory Hamantaschen using our alomond herb goat cheese, rosemary, and tomato. We left the dough a little sweet with a hint of lemon, but y'all, it works! Nobody in my house was booing these cookies. They are delicious! I did have some trouble at first convincing some friends to try these. After all, who makes savory Hamantaschen? But once I talked them into it, they were pleasantly surprised! So if you are ready to change up your regular Hamantaschen game, give these a go. Even if you have never heard of a Hamantaschen cookie, you don’t have to celebrate Purim to bake up a batch of these tasty treats! Vegan Hamantaschen for everyone! Next , mix in the lemon zest and egg replacer with the butter and sugar. Using a 3 inch circle cookie cutter or biscuit cutter (or the rim of a small glass) cut circle in dough. Carefully transfer the circles to a parchment paper lined cookie sheet. Take about a 1/3 teaspoon of the almond herb goat cheese and place in the center of the circle. Top the cheese with a ring of cherry tomato and a few springs of fresh rosemary. Form the cookie into a triangle by pinching the top to a point. Fold up the bottom half of the circle, and pinch the two bottom corners together all well. Make sure all three corners are pinched well so the triangles do not come open while baking. Continue with remaining dough, leaving about an inch of space between each cookie.